In this post, I will try to briefly reflect on a phenomenon that is not just present in aviation but common to many industries – the “me too” strategy. Even though it’s obvious that being different presents significant opportunities to persuade customers that a company can offer higher value to them and thereby persuade them to pay more for their services, managers from telecoms to banking end up choosing to replicating and copying each other’s product offerings; marketing campaigns or supply chain policies. Back in 2000, Philip Nattermann penned an excellent thought piece for McKinsey Quarterly entitled: “Best Practice is not Best Strategy”. His main point, and a well taken one I might add, was that when competitors end up playing the same game with the largely the same tactics, declining margins are bound to follow. He developed a concept called “strategic herding” which describes how companies copy the ‘best practices’ of the leading or dominant firms in an industry, staking out positions in the same competitive spaces and end up stealing from each other rather than developing new customer segments through product and service innovation. Yet despite the obvious pointed out by Nattermann, companies continue to copy each other and this is especially true for the passenger airline business. In a fairly unscientific way, I spent one evening looking at airline product offerings as advertised at their websites. While some had me laughing: Transaero, Russia’s biggest international airline by the way, proclaimed that it was among the “world’s top ten airlines (safety)” or Azerbaijian Airlines that had a link to a list of “unwanted passengers”, there was a predictable repetition on virtually all the airlines webpages. Until 2011, Cubana Airlines and Iran Air were the last airlines in the world to allow smoking – an intriguing source of differentiation I guess! All airlines extolled the virtues of their different cabins (economy, business, first). All of them told passengers about the quality of their in-flight catering (often by having an award winning chef conjuring up the food) and other entertainment services (onboard wifi, movies on demand). Almost all of them reminded the customer about how convenient their online check-in service was. Of course, front and center was the generosity of their frequent flyer program and their extensive cooperation with airline alliances. Some of them had fancy videos of their premium cabins with smiling flight attendants serving equally fancy food and wine to the customer. Some airlines chose to emphasize the low prices that they offered making air travel affordable! So why do airlines do this? Why doesn’t the management of the company realize that they are ‘herding’ to use Nattermann’s terminology? I think there are three credible explanations for this. First, airline managers are not typically incentivized to pursue differentiated strategies. They are incentivized to be ‘no worse’ then their competitors. In management jargon, they are pursuing competitive parity and not competitive differentiation. Second, because airlines through their herding behavior produce thinner and thinner margins, there is less and less money available to invest in differentiated positioning (through innovation in product and promotion). Third, airlines struggle to attract the most innovative and entrepreneurial talent because they can be compensated and rewarded much more highly in other industries. Career perspectives in passenger aviation are to put it mildly precarious – especially at top management level. Are there any outliers? Indeed there are and of course, as Nattermann implies, we can learn a lot from them. That will be the subject of my next blog post: the different species of airline. 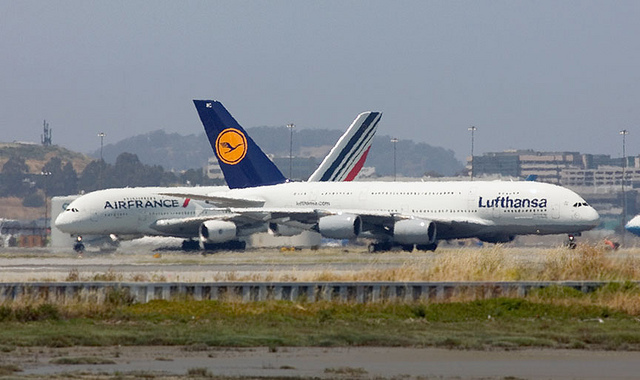 PreviousCould Airline Mergers Make for Better Airlines?